“We believe that this outgoing Parliament should not make such decisions as it does not reflect the will of most European citizens. And with such hard decisions, it should wait until the formation of a new Parliament,” said Dr Judit Varga, the minister of state for EU relations at the Hungarian prime minister’s office, said. Varga blamed a majority of pro-immigration lawmakers in the European Parliament for using the rule of law argument against Hungary in order to pressure the country to change its migration policy. Hungary is accused of refusing to collaborate with other EU member states on handling the migration crisis and of not implementing EU decisions on migration quotas. “This is clearly a political instrument in the hands of the mostly pro-migration Parliament, aiming to put Hungary under the political pressure to change its attitudes towards migration policy,” she added. In September 2018, the European Parliament adopted a report urging the EU Council to trigger Article 7, nicknamed the nuclear option, against Hungary for breaching the EU rule of law. This could eventually result in suspending Hungary’s voting rights in the Council. MEPs are demanding the launch of an infringement procedure against Hungary for breaching ‘core EU values’, just days after Prime Minister Viktor Orbán’s sweeping election success. Article 7 has already been instigated against Poland, another ex-communist Eastern member, but has so far been stuck in the preliminary stages, with little appetite among other countries to activate sanctions procedures. Varga said Budapest reported the 131-page document to the General Affairs Council and presented its arguments. “When it comes to the rule of law, we are neither better nor worse than other member states. So, it is about the political pressure of pro-migration forces within the EU,” she said. The socialists and democrats (S&D) of the European Parliament issued a statement on Wednesday (30 January) calling on member states to follow up on the Parliament’s push for the activation of Article 7. 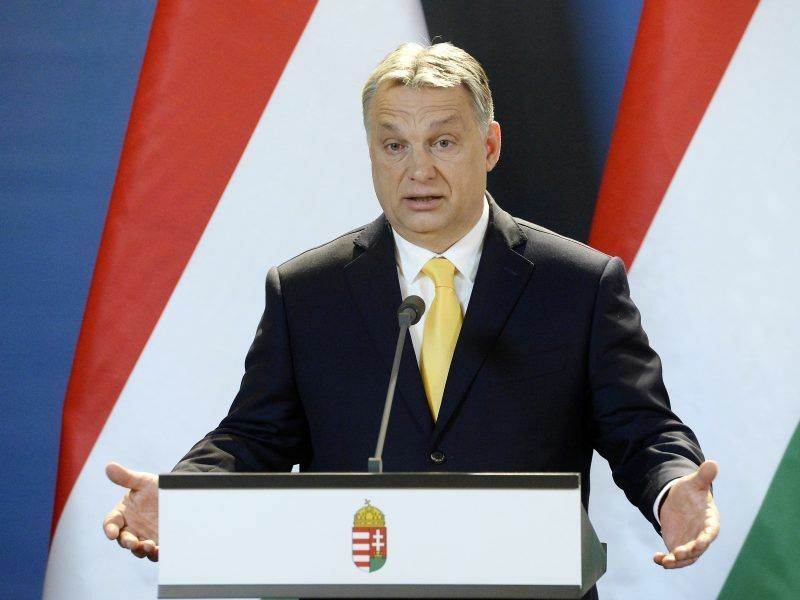 “The recent developments in Hungary prove that Orbán’s intention was never to take a step back. Under the European People’s Party (EPP) umbrella, he happily continues to reinforce his autocratic rule by all possible means,” said S&D vice-president and shadow rapporteur on Hungary, Josef Weidenholzer. At the EU level, Viktor Orbán’s Fidesz party is affiliated with the centre-right EPP family. Although he has caused headaches to his colleagues, no action has been taken against him so far. “We work well together within the EPP, and I think that Central Europe is a successful and increasingly successful part of Europe,” the Hungarian official said. Varga also said the fact European Commission Vice President Frans Timmermans was the EU executive’s representative in the talks with Budapest and at the same time the socialists’ Spitzenkandidat for the EU election in May, creates a problem. “It shows the topic is politicised,” she said. Timmermans replied on Wednesday, saying that he represents the official position of the College of Commissioners. “I’m really not seeing a problem here, and frankly, I would be very worried if Viktor Orbán started praising me,” the Dutch politician said. Earlier in January, the European Parliament said the EU should put financial fines on member states found to be breaching the EU values. European Union countries that undermine the bloc’s democratic principles could lose EU funds, under a draft law backed by the European Parliament on Thursday (17 January). “This could lead to a loss of citizen trust towards the EU, especially if the question is linked to the EU funds. It should be recalled that these are the decisions of the European Parliament, which has a clear pro-migration majority,” Varga insisted. “The future of Europe is identical to the roots of Europe. Europe will either be Christian or it will not exist, one great man said. We believe that Europe is the best place in the world because of its Judeo-Christian roots,” she concluded.